As soon as Rogue One: A Star Wars Story was confirmed as the story of the events leading up to A New Hope, speculation ran wild as to whether or not familiar characters from the original Star Wars trilogy would make an appearance. In the case of Darth Vader, his mask allows the Sith Lord to easily reappear in the film without the age and appearance of the actor(s) who played him causing any issues (James Earl Jones returns once again to provide his voice). For Rebel leader Mon Mothma, actress Genevieve O'Reilly (who played the character in The Revenge of the Sith) returned to that role; likewise, Jimmy Smits is back to once again play Princess Leia's adoptive father, Bail Organa. But Grand Moff Wilhuff Tarkin posed a particular problem. Played by the legendary actor Peter Cushing in the original Star Wars, Tarkin is central to the Death Star's construction and operation. In A New Hope, Tarkin is the highest ranking Imperial officer who commands the Death Star; he orders the destruction of Princess Leia's homeworld, Alderaan, without an ounce of remorse. Cushing, who passed away in 1994 at the age of 81, had a signature gaunt and terrifying look that made him the ideal Imperial enemy. The new Star Wars canon reiterated Tarkin's importance in multiple novels set before the events of Rogue One. In the novel Tarkin, Tarkin is made the first Grand Moff in the history of the Galactic Empire. In Catalyst, Tarkin and Director Orson Krennic (who is played by Ben Mendelsohn in Rogue One) are rivals, vying for the Emperor's favor. Since Rogue One tells the story of the Death Star's creation and the Rebel operation to steal the Death Star plans, Grand Moff Tarkin would almost certainly need to play a central role. Fans were left to speculate: would director Gareth Edwards cast a new actor to play Tarkin? Would Tarkin be written out and replaced by Director Orson Krennic for convenience? Rumors even circulated saying that Edwards' visual effects team were attempting to digitally resurrect Tarkin using Peter Cushing's likeness. As it turns out, these rumors are true. Grand Moff Wilhuff Tarkin makes a substantial appearance in Rogue One, complete with Cushing's striking visage. While actor Guy Henry stood in for the Grand Moff and gave voice to his dialogue, the character seen on screen was created digitally by Industrial Light and Magic. John Knoll, the visual effect supervisor of Rogue One and the chief creative officer at ILM, proposed the idea to director Gareth Edwards and spearheaded the project of bringing Tarkin to life. Before Rogue One came to theaters, Knoll teased that "fun bits of innovation" would appear in the film, but "fun bits" does not even begin to describe the scope and detail of this undertaking. While Knoll may have been being humble, Edwards said in a separate interview, "It was a lot of blood, sweat and tears from Industrial Light and Magic... we went all or nothing in." Tarkin appears in multiple critical scenes, trading verbal blows with his nemesis Krennic and, in the final act of the film, ordering the destruction of the base on Scarif. Just as he is in A New Hope, Tarkin is a major player, central antagonist, and destructive force. Although the recreated Tarkin (along with a brief shot of a digitally-crafted Princess Leia) may stray into the uncanny valley for moviegoers who know that what they're seeing can't be real, a casual viewer may not even realize that the character on the screen is a digitally generated composite instead of a live actor. Some fans have been critical of Rogue One's use of technology, questioning whether digitally recreating Tarkin is better than casting a lookalike. Is the digital Tarkin a success? Is it even possible for digital Tarkin to be a success? After all, those who know from the beginning that the performance is digital may spend those scenes searching for flaws rather than suspending their disbelief, and the cutting-edge CGI may actually end up overshadowing everything else taking place in Tarkin's scenes. Tarkin is widely featured in the film. The filmmakers could have obscured the character strategically, perhaps by having him communicate through holographic projection. Instead, they opt to double-down on the character, including long shots of him speaking and interacting with living, breathing actors. 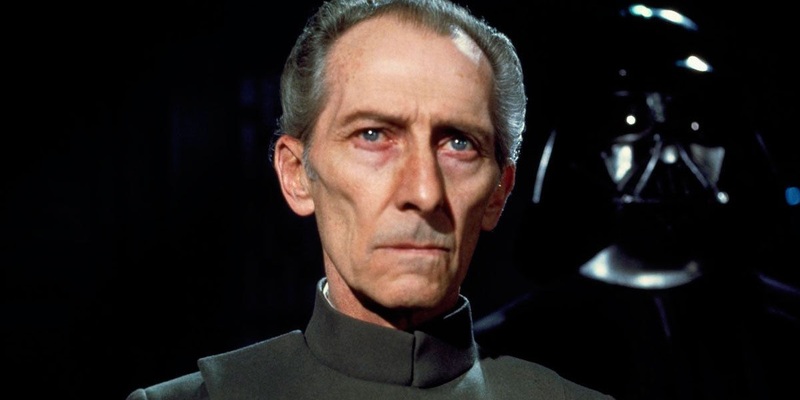 The general consensus seems to be that it was the right choice to include the character of Tarkin in the film, but whether or not the method employed was the right one is up for debate. The ever more impressive technology behind photorealistic facial animation and alteration (such as the de-aging of actors for flashback scenes) opens up countless possibilities for the future of filmmaking. If an actor's likeness can be convincingly recreated, then actors - both living and dead - are able to star in upcoming films. In the years to come, the legal and moral implications of using a person's likeness (living or deceased) in a film may become a hot topic in Hollywood. Already audiences are divided over whether the resurrection of Cushing's likeness for the role was a touching tribute, or morbid and potentially unethical. Star Wars films have always been on the cutting edge of visual effects, and George Lucas was passionate in both the original and prequel trilogy to incorporate technology that had never previously been used. Lucas, too, was accused by critics of utilizing technology prematurely and to limited success in the prequel trilogy. If nothing else, Gareth Edwards' prequel film continues in that tradition of visual innocation, and only time will tell how Rogue One's Tarkin ages. Did you think Rogue One's Tarkin was successful or missed the mark? Let us know in the comments.